An ultra brutal, savage as hell, robot-semisatanic megaviolent heavy metal band from Poland. They'll break your skull, pummel your brains in, slaughter your pets and eat your lunch! 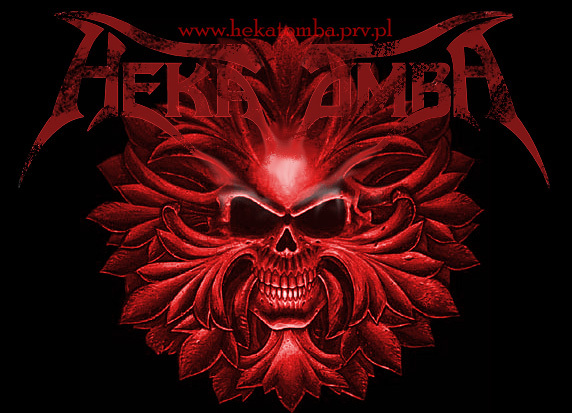 Hekatomba was established around december 1999 by two guitarists- Błażej 'Gazer Big Jelly' Grygiel and Jacek 'Dżeq' Tkaczyk. This same winter two new geezers were incoporated by their soon-to-be sonic asylum- drummer Andrzej 'Andrew' Wnuk and bassist Adam Szczęsny. This classic lineup began their road to stardom with Metallica's 'For Whom The Bell Tolls', yet their first own piece of music was 'Frustration'. Last, but not least, vocalist Wawrzyniec 'Wawa' Kościelniak joined the band and the tracklist was enriched with Judas Priest's 'Breaking The Law'. 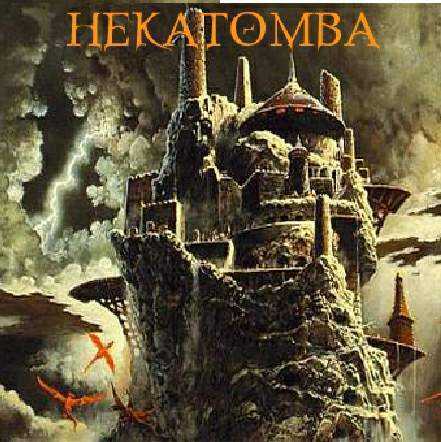 Hekatomba's first demo (bearing the golden title of 'Demo' and cool-looking cover with a flying fortress) was recorded after an all-star heavy metal style session in Olsztyn in 2001 and consisted of four songs- 'Louder', 'Frustration', 'Back Off' and 'Rage of the Dragon' and the aforementioned 'Breaking The Law'. The second demo 'Stainless' was recorded in Warsaw in 2003 and was their most successfull album to date. Such hits as 'No Breaks', 'A Different Kind of Sadness' and 'Asylum' show great improvement, both in composition and sound when compaired to their predesessor [note from me- say something bad about this album and I'll abuse your mother and gnaw your legs;)]. That album marked also the end of Andrzej Wnuk as a drummer in Hekatomba. He was replaced by Krzysztof Gręda- a metal veteran with a furiously delicious style of playing. It was not the last personal change in the band as they went on. In 2005 guitarist Jacek Tkaczyk had to leave Hekatomba, due to inability of coping with both his work and band. He was replaced by ex-Interfector and ex-Fethor guitarist Piotrek Dobry. Also that year bassist Adam Szczęsny left due to the same problems and was replaced by Michał Kozłowski. 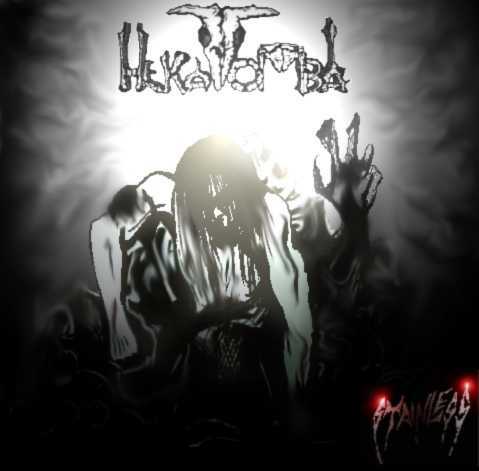 In 2007 Hekatomba are planning to finalize their next album, which is 'in recording' for the past two years and to which we're all looking forward to.